Before I get into the reviews, let me just mention what is sure to be a fantastic new web comic, Lady Sabre & the Pirates of the Ineffable Aether by Greg Rucka and Rick Burchett. It’s just launched this week and so far I am pretty excited. Rucka is one of my favorite writers (and a totally cool person to boot), Burchett’s art looks lovely, and the site design is awesome. Worth checking out and supporting, so spread the word! Avengers: Children’s Crusade #6 – Oh. Amazing. Just … completely wonderful. More comics should be this. MORE OF THIS, PLEASE, MARVEL. Batman, Inc. #7 – I was ready to give up on the Batman, Inc. title after what I thought was a horrible arc in Argentina. Morrison lost me pretty hard with some of his writing techniques and the fact that I basically had no idea what was happening for like three issues. Then all this DC reboot stuff came up, and everyone’s all like “You have to read Batman, Inc. or the Bat books won’t make sense!” I guess I still don’t really understand how ANYTHING’S going to make sense as far as how we can keep the continuity in this title when characters are changing in so many other titles come September, but all right, whatever—I’ll bite. The book is ending soon, anyway—I’ll stay on for the ride and see what happens. So then I picked up this issue and was … absolutely glued to it. Wow. What? Where was THIS stuff hiding? I truly enjoyed this issue on so many levels. The story was meaningful, the artwork by Chris Burnham was a pleasure, the writing was clean and purposeful, and it didn’t teeter off the path or dillydally like it did in previous issues. The story is entirely self-contained in this one issue, and it’s friggin’ fantastic. I finished this and wondered why more Grant Morrison comics couldn’t be written in a similar manner. 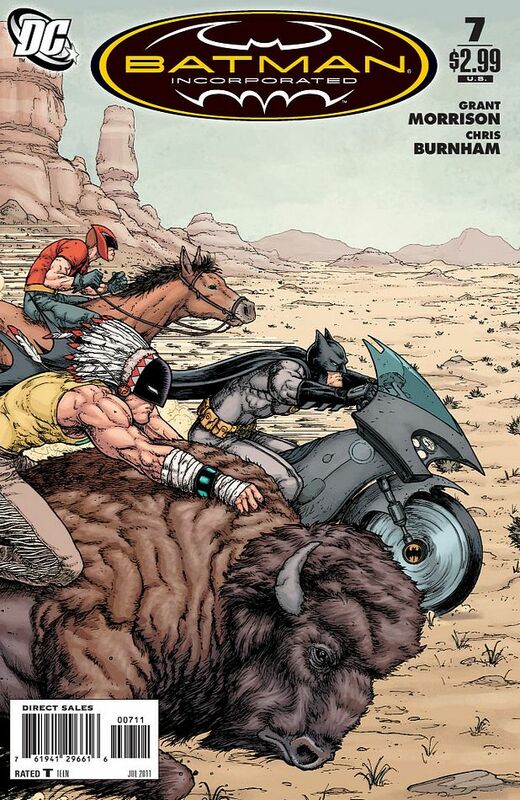 Morrison takes two characters I have never read or knew of before and creates something that feels so easy and humble. He rarely does that for me—so much of the time when I read his stories, they feel condescending or “holier-than-thou.” This one doesn’t, and it’s perfect. I enjoyed this issue a lot, and thus am now expectant of the remainder of the series to be the same. Read this. I don’t want to summarize the plot—just give it a read. The Guild: Bladezz One-Shot – So, I’m kind of obsessed with The Guild. If you’re a gamer and have never watched this web show, do yourself a favor and check it out, because it’s awesome and hilarious. Watch it on the website. Watch it on YouTube. Netflix it. Get the DVDs off Amazon. Whatever—just do it. It’s become such a hit, in fact, that Dark Horse has taken to publishing one-shot Guild comics for each member of the Knights of Good. I’d recommend reading the short Guild miniseries that came out last year as well, as it serves as a prequel to the show and gives some more depth to the main character. It’s also super short, inexpensive, and collected in trade for your convenience. Anyway, tangent—Bladezz is the third one-shot to be produced, after Vork and Tinkerballa. It’s on par with its predecessors, if not slightly better. 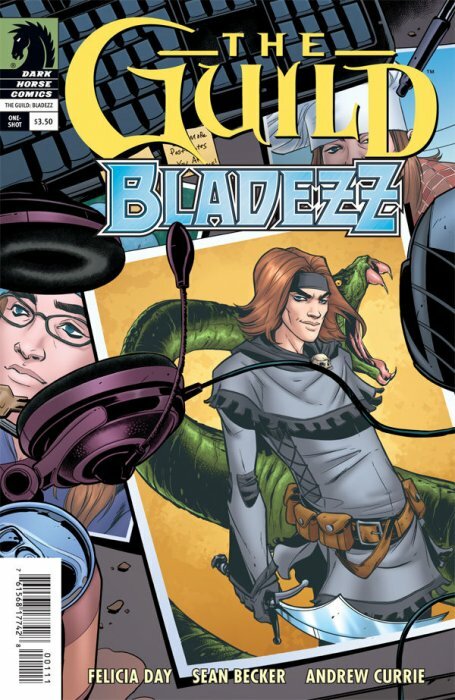 I have an affinity for Bladezz as a character, I think he’s pretty damn hilarious, and I found his one-shot light and funny. The artwork isn’t really my taste, but that doesn’t necessarily mean it’s bad, and it’s basically in line with the issues before it. So, bottom line—read Guild comics. They’ll give you +5 to Sexterity. Wolverine/Black Cat: Claws 2 #1 – … Are you serious right now? Are you absolutely serious? Reading this, I could feel a part of my brain crack apart and die. I don’t even want to glorify it with a full review, suffice it to say Palmiotti’s writing is nothing more than fanservice and brings me to a hysterical fit of tears, and Linsner on art is eye-gouging. Don’t go near this thing. Just … don’t. It’s actually worse than the first one. If you can imagine that. This entry was posted on 07/15/2011 by ravenhaired. It was filed under Awesomeness, Comic books, Reviews, Things that Kill my Soul and was tagged with Allan Heinberg, Avengers, Batman, Black Cat, Chris Burnham, DC, Grant Morrison, Jimmy Cheung, Jimmy Palmiotti, Joseph Michael Linsner, Marvel, The Guild, Wolverine, Young Avengers.